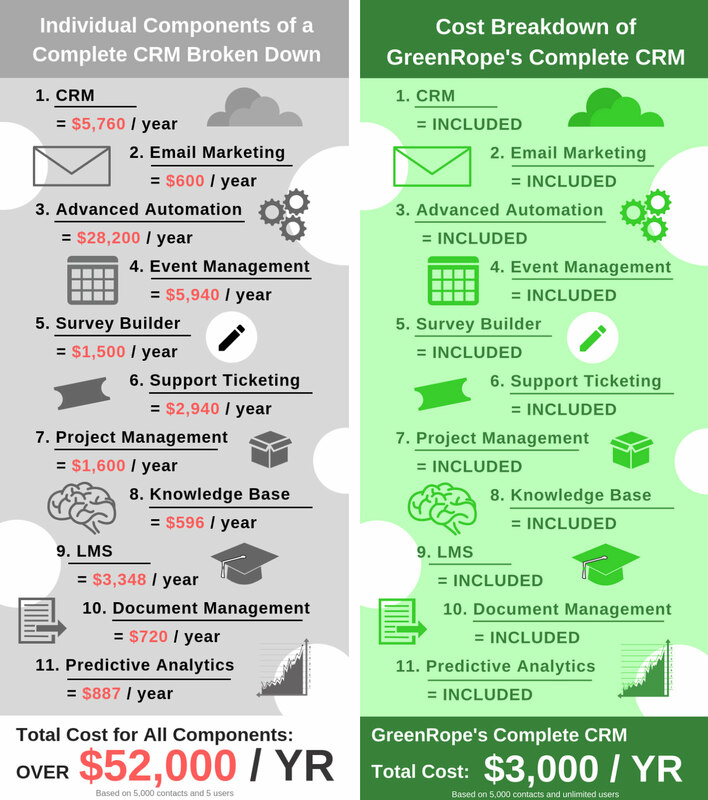 GreenRope’s Small Business CRM saves you money and establishes a scalable foundation for your business’ success. In the past few years, this metric has skyrocketed due to costly CRM systems, expensive integrations with third-party platforms, and insufficient and inadequate training. 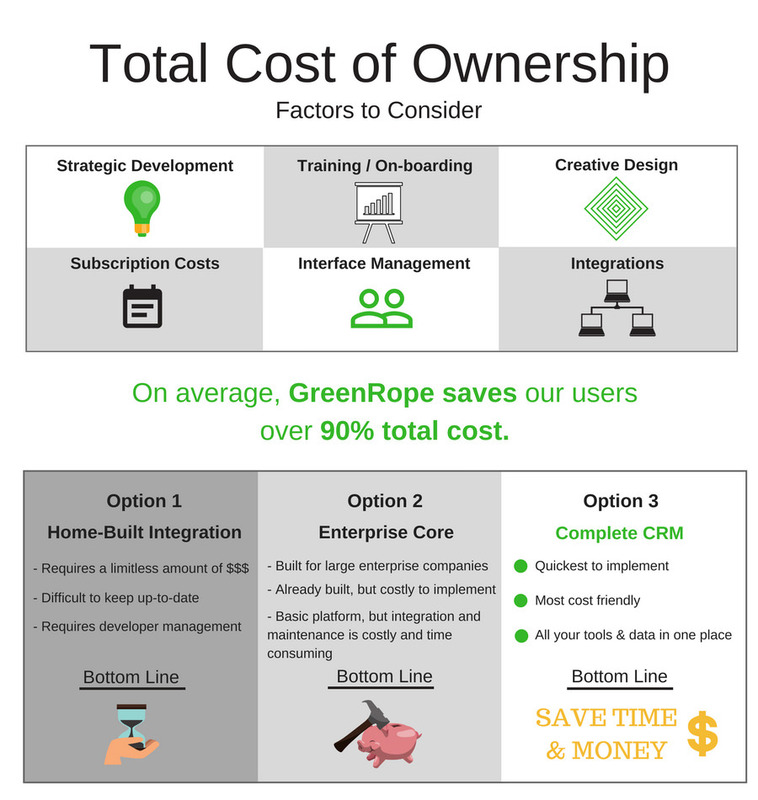 With so many extensive costs involved, it becomes more difficult to identify true ROI (Return on Investment).